Do you ever wonder where you can find nutrient dense, real food… fresh, high quality fruits and vegetables, grass finished beef or ghee, fresh raw nuts (really raw, which you cannot buy in stores though they say “raw”) or kefir grains and scoby to make your own less expensive, easy-to-make kefir and kombucha? Do you wonder where you can buy safe products…family or household products that are free of questionable or poisonous chemicals or ingredients? I wondered and did a lot of searching over the years when I was trying to find these products for my family. Friends have asked me where I get some of my items, and since, I’ve compiled my list of resources below for you all (and will keep adding). I’ll also post discount codes or a sale that may be happening so you can take advantage of lower costs whenever possible. Ultimately I would love to create a great list of healthwise resources for you to use in your area, or that will deliver directly to you, to make your shopping experience easier. If you have any recommendations for me to review that are real food providers or other health related resources, please contact me at suggestions@livinghealthynhappy.com. Since starting this blog, I now have business relationships with some of the companies listed and when clicking on some of the links here you will also be helping to support the costs associated with this blog. Keep in mind that the cost is the same for you either way. Thank you for helping support this blog so that I can keep bringing you more health related information. I will continue to be selective and include only products, merchants or services that I believe in. . I hope that you will Bookmark this page and come back again and again to do your shopping with all of your links conveniently in one place. And, you can easily SHARE this page by sending the link to others (using one of the SHARE icons on the bottom or right of this page). Do you have trouble clicking on a link? Please hold the CTRL key down while clicking (because the Google Tool bar on your Internet browser sometimes interferes OR you may need to disable your ad blocker). Berlin Natural Bakery – Berlin Natural Bakery is nestled in the rolling hills of the largest Amish settlement in the world…Berlin, Ohio. Our customers buy our spelt products for many different reasons. But there is one thing they all agree on… they just plain taste good! Non-GMO products: variety of breads, pizza crust, pasta, cookies & flour. Wise Choice Market – Our Mission: To provide our customers with the finest selection of nutrient-dense real foods and starter cultures. Organic Sprouted Grain Manna Bread: Sprouted grain breads are made with live grains that contain vital nutrients and maximize the nutritional value and flavor of the bread. Unlike processed breads, sprouted grain breads provide you with many important vitamins, minerals, natural fats, and protein. Enjoy these organic yeast-free, vegan sprouted grain Manna Breads® in nine great flavors. And Organic Gluten Free Manna Bread: If you’re on a gluten free diet, need to avoid all foods that contain wheat, rye, and barley. Now you can enjoy tasty organic gluten free bread that you can feel good about! Manna Bread® is the only GFCO certified gluten free bread available that is also certified organic. It comes in five great flavors, all made with wholesome organic ingredients, such as brown rice flour, sprouted seeds, starches, and sunflower oil. Pure Indian Foods – or go to my Amazon store here : Ghee products made by a fifth-generation, family-owned business…since 1889. Grass-fed Organic Ghee made from the milk of pastured cows, fed on fresh green grass in spring and fall. No GMOs, no added salt, no preservatives, no Trans Fats, no colors or dyes, no MSG, no flavor enhancers. The one and only ingredient is milk, with absolutely nothing else added to it. In addition, they have Cooking oils, Spices, Teas, Grains and other grocery items. (Judys notes – I typically buy the largest bottle a case at a time directly from Pure Indian Foods because it is less expensive than going through Amazon (they have a great shelf life). If you want to just buy a small bottle just to check it out, then Amazon.com would be suggested). Organic Pastures produces 100% USDA certified organic, Grade A, raw milk and cheese of super premium quality. USDA organic standards require that cows be pasture grazed just four months out of the year. OPDC goes far beyond this standard and grazes our cows on green pastures every day. Our individually named cows are never given antibiotics, hormones, or GMOs (Genetically Modified Organisms). Only approved naturopathic methods are used to care for the cows, and this preventative, nature-based healthcare keeps the herd healthy all year. Delivers in CA and also at stores and Farmers Markets. Earth Circle Organics – Earth Circle Organics is a wholesale grass roots importer, distributor and manufacturer that has been serving the raw community for over seven years. Our mission is simply to supply the highest quality, truly raw and organic superfoods from around the world. We purchase from farmers and suppliers who operate with integrity and respect for their land and their finished products. Discover our special inventory of organic foods. Offers products such as Cacao, Coconut, Nuts, Berries, Hemp, Sea Vegetables, Seasoning and Sweeteners. Wilderness Family Naturals – For over 20 years Ken and Annette have purposed to live clean healthy lives, believing that a diet with nutrient dense foods is key. We are here to serve you from the wilderness of northern Minnesota. As a family run business, we strive to supply all our customers with quality healthy foods that you can trust. Offer a variety of products: chocolate & cacao, coconut products, oils, dressing & condiments, herbs & spices, kosher products, nuts & seeds (& nut butters), raw producs, rice & grains, etc. Tropical Traditions – We are committed to time-honored traditional practices that have produced healthy coconut oil for hundreds, if not thousands of years. In addition to Coconut Oil, Tropical Traditions offers many other Oils, Coconut Products, Organic Foods (including Grassfed Meat, soy-free chickens and Dairy), Skincare products, non-toxic Household Goods, Supplements, etc. – always keeping health in mind. They also offer Healthy Buyers Club which offers discounts for products bought in bulk. KombuchaKamp – A one stop shop for all you need and want to know about making Kombucha. Hannah has a “Free Recipe & DIY Guide” page for learning about Kombucha with all the details from start to finish, and all the items that are necessary to make all kinds of Kombucha recipes. Cultures for Health – …where people making a food change in their own lives could find all the products and information they need to be successful. We strive to source and produce products locally when possible while providing excellent product selection, top-notch articles and how-to videos, and the best customer service. Provide: recipes, starter cultures, supplies for fermenting and also ready to eat cultured vege’s, juice and condiments. They also have books, tea, yogurt makers, grain mills and food dehydrators. Wise Choice Market – Our Mission: To provide our customers with the finest selection of nutrient-dense real foods and starter cultures. Offers Starter Cultures for Vegetables, a range of starter cultures for yogurt, kefir grains (water and milk) and for sourdough. Also offers Organic Raw Cultured Vegetables and Raw Cultured Juices. Grassfed Traditions (from Tropical Traditions) – We are committed to time-honored traditional practices that have produced healthy coconut oil for hundreds, if not thousands of years. In addition to Coconut Oil, Tropical Traditions offers many other Oils, Coconut Products, Organic Foods and Meats (including Grassfed Meat, SOY-FREE CHICKENS & EGGS), Skincare products, non-toxic Household Goods, Supplements, etc. – always keeping health in mind. They also offer Healthy Buyers Club which offers discounts for products bought in bulk. Tropical Traditions – We are committed to time-honored traditional practices that have produced healthy coconut oil for hundreds, if not thousands of years. Our Gold Label Virgin Coconut Oil is still produced by hand, using the wet-milling process of extracting the oil from fresh coconuts and allowing this coconut oil to separate in a slow, naturally process. 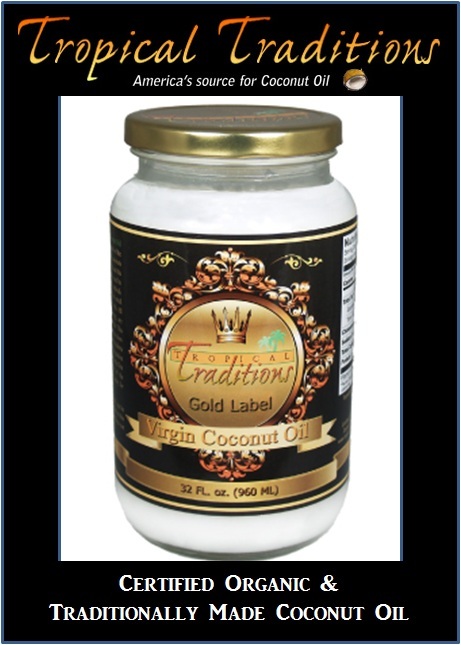 When you buy Tropical Traditions Gold Label Virgin Coconut Oil, you are buying the highest quality coconut oil we have to offer, having the highest levels of antioxidants, and it is still made by hand and benefiting families in the rural areas of the Philippines. In addition to Coconut Oil, Tropical Traditions offers many other Oils, Coconut Products, Organic Foods (including Grassfed Meat, soy-free chickens and Dairy), Skincare products, non-toxic Household Goods, Supplements, etc. – always keeping health in mind. They also offer Healthy Buyers Club which offers discounts for products bought in bulk. You can read more about what “virgin coconut oil is and details on How It Is Produced. US Wellness Meats – In 2000, U.S. Wellness Meats as we now know it was born. Today, the company is a thriving family-owned business still run by its founding families. Their grass-fed beef is recognized for its exceptional taste, quality and health benefits by chefs, health experts, professional athletes, and many others. In addition, U.S. Wellness Meats has joined with like-minded small family farms across the country to expand its offerings to include grass-fed beef tallow. SALE ITEMS are listed on their weekly newsletter. You can subscribe by clicking US Wellness Meats. Wilderness Family Naturals – For over 20 years Ken and Annette have purposed to live clean healthy lives, believing that a diet with nutrient dense foods is key. We are here to serve you from the wilderness of northern Minnesota. As a family run business, we strive to supply all our customers with quality healthy foods that you can trust. They do have a Buying Club program for orders of $300 or more. They offer a variety of products including coconut oil. Many of their products can also be found at Amazon.com and coconut oil, red palm oil and popcorn oil at Green Polka Dot Box. Farm Fresh To You – Farm Fresh To You delivers fresh, organic produce direct to homes and offices (LA, Orange, Ventura counties; SF Bay Area, Sacramento region). By joining this Community Supported Agriculture (CSA) program, you receive deliveries of nutrient-rich, mouth-watering, organic produce. Farm Fresh To You allows you to cancel at any time, choose your own box type, exclude items you don’t care for and set your own delivery frequency. (800) 796-6009 As part of their program, they are allowing me to give you all $10 off your first box of any size when you enter or mention the code “1207”. Green Polka Dot Box Enter the Green PolkaDot Box. Don’t have an organic food store or farmer’s market in your city? Not a problem. Can’t afford the high price of natural, non-GMO foods? The Green PolkaDot Box sells natural and organic, non-GMO foods at wholesale prices, and delivers them directly to your doorstep. The Green PolkaDot Box is amoung the very few – actually, we are the only company we know – to ship your essential frozen and refrigerated organic products, along with the other shelf-stable products that you use regularly! We have everything from grass-fed, grass-finished beef to par-baked organic breads and much more. We carry hundreds of your favorite brands, and even ship fresh produce harvested directly from organic farms. Our Harvest Fresh program has been temporarily discontinued due to produce seasonality and numerous logistical and environmental issues. We are working on developing better long-term solutions that will enable us to supply your demand for fresh, organic produce at lower prices, with year-round availability, faster delivery and less impact on our environment (Judy’s notes – check back soon for an update – their fresh organic fruits and vegetables were great and I look forward to ordering from them again soon). Cultures for Health – …where people making a food change in their own lives could find all the products and information they need to be successful. We strive to source and produce products locally when possible while providing excellent product selection, top-notch articles and how-to videos, and the best customer service. Provide: recipes, starter cultures, supplies for all the products you would need and also ready to eat cultured vege’s, juice and condiments. Wise Choice Market – Our Mission: To provide our customers with the finest selection of nutrient-dense real foods and starter cultures. Caldwell’s Organic Raw Cultured Vegetables are the result of a natural process called “Lactic fermentation”. They are organic, unpeeled and unpasteurized, and so contain the fibers, minerals, vitamins, and trace-elements found in freshly-harvested vegetables, together with enzymes, lactic bacteria, and lactic acid, which are all important for your health. Also offer: Raw Cultured Juices. These healthy juices are reserved from our organic raw cultured vegetables and offer you a concentrated source of friendly bacteria. The juices are non-alcoholic and non-dairy. They are unpasteurized, undiluted, and can be used to facilitate digestion. (Sells Caldwell brand from Canada labeled as Deep Rooted in U.S). Tropical Traditions – We are committed to time-honored traditional practices that have produced healthy coconut oil for hundreds, if not thousands of years. In addition to Coconut Oil, they offer Coconut Flour and other Organic Foods, Coconut Flour Skincare products, non-toxic Household Goods, Supplements, etc. – always keeping health in mind. They also offer Healthy Buyers Club which offers discounts for products bought in bulk. Pleasant Hill Grain – Would you like to buy the very best… for less… and enjoy personal service too? At Pleasant Hill Grain we offer the finest kitchen tools, at great prices, and provide personal service both before and after your purchase. Pleasant Hill Grain began as a third-generation grain farm on the plains of central Nebraska. Pleasant Hill Grain is an authorized dealer for Bosch, Kuhn Rikon, Edgecraft, Berkey Purifiers, Excalibur, Vita-Mix, Zojirushi and all of the other fine home products displayed on our Web site. Nearly all of the products we offer are stocked here in Nebraska, to provide you with fast & reliable delivery. Pantry Paratus – We are a small family owned and operated company who calls beautiful northwest Montana our home. Paratus is latin for “ready” or “prepared”. It is our desire to see everyone think seriously about what the family is eating, where it comes from, and how they can preserve their surplus and prepare that pantry for the lean times. We endeavor to equip and to teach pantry preparedness–healthy, wholesome food to nourish the family from the inside out, today and in the future. Amongst many other home essentials, Pantry Paratus also offers Grains, Legumes and Grain Mills. .
Wilderness Family Naturals – For over 20 years Ken and Annette have purposed to live clean healthy lives, believing that a diet with nutrient dense foods is key. We are here to serve you from the wilderness of northern Minnesota. As a family run business, we strive to supply all our customers with quality healthy foods that you can trust. Offer a variety of products: chocolate & cacao, coconut products (& Coconut Flour ), oils, dressing & condiments, herbs & spices, kosher products, nuts & seeds (& nut butters), raw producs, rice & grains, etc. Cultures for Health – …where people making a food change in their own lives could find all the products and information they need to be successful. We strive to source and produce products locally when possible while providing excellent product selection, top-notch articles and how-to videos, and the best customer service. Provide: recipes, starter cultures, supplies, ready to eat cultured vege’s, juice and condiments. They also have sprouted grains, flour and beans. Bread Beckers – At The Bread Beckers, we believe one simple thing can change your life: real food. Our mission is to show you how easy real food is to make and how delicious it is to eat. Bread is only the beginning of what we do. We offer top-of-the-line kitchen equipment and a complete line of grains, beans, sweeteners and other natural foods and we have more than 100 co-op locations throughout the country. Millers Organic Farm – If there is not a Miller’s Farm Co-op in your city (see this page for list of active co-ops in US), you may apply for membership to Miller’s Organic Farm in PA who can ship you the food directly. We hope you, as a member of our private club, can enjoy our large selection of fresh, raw dairy and meats, plus fermented veggies, breads, and treats as well as a full line of cod liver oils and butter oil produced by Green Pasture from Nebraska. Mountain Rose Herbs – Since 1987 Mountain Rose Herbs has been known for its uncompromising commitment to organic agriculture and steadfast focus on the pure aesthetics and freshness of botanical products. Their products include: bulk organic herbs & spices, teas & tea supplies, aromatherapy & essential oils, bath & body care, beeswax, natural health, containers & packaging and other bulk ingredients. Grassfed Traditions (from Tropical Traditions) – We are committed to time-honored traditional practices that have produced healthy coconut oil for hundreds, if not thousands of years. In addition to Coconut Oil, Tropical Traditions offers many other Oils, Coconut Products, Organic Foods and Meats (including Grassfed Meat, soy-free chickens and Dairy), Skincare products, non-toxic Household Goods, Supplements, etc. – always keeping health in mind. They also offer Healthy Buyers Club which offers discounts for products bought in bulk, where beef and chicken bones can also be purchased (top left of their page -click on the white “Healthy Buyers Club” icon. US Wellness Meats – In 2000, U.S. Wellness Meats as we now know it was born. Today, the company is a thriving family-owned business still run by its founding families. Their grass-fed beef is recognized for its exceptional taste, quality and health benefits by chefs, health experts, professional athletes, and many others. In addition, U.S. Wellness Meats has joined with like-minded small family farms across the country to expand its offerings to include grass-fed lamb, bison, and goat, as well as grass-fed butter and cheese, free-range poultry, honey, organic nuts, and other wellness products. SALE ITEMS are listed on their weekly newsletter. You can subscribe by clicking US Wellness Meats. Blackwing – Blackwing is one of North America’s leading providers of Healthy Red Meats and Healthy Poultry Meats to consumers, retailers and food service industries. Since being established in 1997, Blackwing’s vision has been to offer healthy organic and all-natural meats to health conscious American consumers. North American farm raised Elk are raised and grazed on lush unsprayed pastures. Once a diet of our native Americans , now part of our healthy lean diet. High in protein and never administered growth hormones or antibiotics. Always processed under USDA supervision and always humanely raised and handled under strict Blackwing regulations. As the premier supplier of Ostrich meat and other healthy red meats in the United States, Blackwing is dedicated to providing consistently high quality, anti-biotic and hormone free meats at affordable prices. Offers: ostrich, beef, buffalo, chicken, port, boar, turkey, elk & venison. (Judys comments – shipping charges in CA, NV, & AZ are considerably higher, Blackwing in best used with large orders in these locations). Green Polka Dot Box Don’t have an organic food store or farmer’s market in your city? Not a problem. We have everything from grass-fed, grass-finished beef to par-baked organic breads and much more. We carry hundreds of your favorite brands, and even ship fresh produce harvested directly from organic farms. Can’t afford the high price of natural, non-GMO foods? The Green PolkaDot Box sells natural and organic, non-GMO foods at wholesale prices, and delivers them directly to your doorstep. Millers Organic Farm – If there is not a Miller’s Farm Co-op in your city (see this page for list of active co-ops in US), you may apply for membership to Miller’s Organic Farm in PA who can ship you the food directly. We hope you, as a member of our private club, can enjoy our large selection of fresh, raw dairy and meats, plus fermented veggies, breads, and treats as well as a full line of cod liver oils and butter oil produced by Green Pasture from Nebraska. Beef, Goats, & Sheet, Poultry, Hogs, Veal. Organic Pastures produces 100% USDA certified organic, Grade A, raw milk of super premium quality. USDA organic standards require that cows be pasture grazed just four months out of the year. OPDC goes far beyond this standard and grazes our cows on green pastures every day. Our individually named cows are never given antibiotics, hormones, or GMOs (Genetically Modified Org-nisms). Only approved naturopathic methods are used to care for the cows, and this preventative, nature-based healthcare keeps the herd healthy all year. Delivers in CA and also at stores (such as Sprouts & Mother’s Market and Kitchen) and Farmers Markets. A State by State look at Raw Milk from Farm-To-Consumer Legal Defense Fund – can tell you if raw milk is legal in your state or how it might be sold. Living Nutz – The Living Nutz company began in 2002 with a core purpose, to create the best tasting Certified Organic raw food gourmet treats on the planet! Our approach is simple, we wanted to make an easy to digest organic treat with the most amazing tastes that exist today! We believe in minimally processed and raw foods. That is why we do not roast our nuts. With Living Nutz we have developed a health-conscious company that offers a diversity of nut products with an emphasis on Certified Organic, minimally processed and healthful foods. Hopkins AG –www.hopkinsAgOC.com – California Fresh since 1978, a family run business. You can Order Online, or if local, you can get their wonderful (really raw, and not sprayed with PPO) Almonds at Farmers Markets in various locations in Orange County or San Diego counties within California. Wilderness Family Naturals – For over 20 years Ken and Annette have purposed to live clean healthy lives, believing that a diet with nutrient dense foods is key. We are here to serve you from the wilderness of northern Minnesota. As a family run business, we strive to supply all our customers with quality healthy foods that you can trust. They do have a Buying Club program for orders of $300 or more. They offer a variety of products: agave, sugar, chocolate & cacao, coconut products, oils, dressing & condiments, herbs & spices, kosher products, nuts & seeds (& nut butters), raw producs, rice & grains, etc. Many of their products can also be found at Amazon.com and their coconut products at Green Polka Dot Box. Mountain Rose Herbs – Since 1987 Mountain Rose Herbs has been known for its uncompromising commitment to organic agriculture and steadfast focus on the pure aesthetics and freshness of botanical products. Their products include: bulk organic herbs & spices, teas & tea supplies, aromatherapy & essential oils, bath & body care, natural health, containers & packaging and other bulk ingredients. Frontier Natural Products Co-op – Frontier Natural Products Co-op specializes in natural and organic products. Our products are found in natural products stores and specialty shops throughout the United States and Canada, as well as right here on our website. As a leading supplier of organic herbs and spices, we hold a leadership position, not only in the marketplace, but also in the effort to convert food producers to sustainable farming and production practices. Products: herbs & spices, dried foods, teas & home products. Vitalchoice Wild Seafood & Organics – Vital Choice is a trusted source for fast home delivery of the world’s finest wild seafood and organic fare, harvested from healthy, well-managed wild fisheries and farms. Leading health and wellness experts endorse Vital Choice as a leading source of pures, healthful, sustainablefoods of exceptional quality … including our pioneering omega-3 wild Alaskan salmon oil supplements of rare “whole food” character. We capture the fresh-caught quality of fine, sustainably harvested Alaskan salmon and other Alaskan and northwest Pacific seafood by cleaning and flash-freezing it within hours of harvest. The fisheries that supply most of our seafood are certified sustainable by MSC (look for their blue logo) or the State of Alaska, or are widely considered sustainable. And to further support lives of health and sustainability, Vital Choice offers selected Organic, Natural, and Kosher foods, picked for their superior nutritional and culinary qualities. Be sure to Sign Up for their Newsletter to get extra Bonus Offers every week. Enjoy 10% off your first purchase with Vital Choice by using the code: VCAFINT during checkout. Wise Choice Market – Our Mission: To provide our customers with the finest selection of nutrient-dense real foods and starter cultures. Our traditional chicken broth is just like homemade chicken stock: based on bones and feet from healthy free range organic chickens. Our beef broth is made from grass fed beef bones. Apple cider vinegar is added to pure filtered water for maximum nutrient extraction right into the stock. The bones are then gently simmered for 24 hours with sea salt and organic onions and garlic, and the broth is finished with organic parsley for the extra minerals. Grassfed Traditions (from Tropical Traditions) – We are committed to time-honored traditional practices that have produced healthy coconut oil for hundreds, if not thousands of years. In addition to Coconut Oil, Tropical Traditions offers many other Oils, Coconut Products, Organic Foods, Grass Fed/Pasture Raised Meat and Bones (including Beef, Bison and soy-free chickens), Skincare products, non-toxic Household Goods, Supplements, etc. – always keeping health in mind. They also offer Healthy Buyers Club which offers discounts for products bought in bulk, where beef and chicken bones can also be purchased (top left of their page -click on the white “Healthy Buyers Club” icon. Cultures for Health – …where people making a food change in their own lives could find all the products and information they need to be successful. Our traditional chicken broth is just like homemade chicken stock: based on bones and feet from healthy free range organic chickens. Our beef broth is made from grass fed beef bones. How the stock is made: Apple cider vinegar is added to pure filtered water for maximum nutrient extraction right into the stock. The bones are then gently simmered for 24 hours with sea salt and organic onions and garlic, and the broth is finished with organic parsley for the extra minerals. This long and careful process results in a bone broth rich in flavor and with high levels of minerals and gelatin. US Wellness Meats – In 2000, U.S. Wellness Meats as we now know it was born. Today, the company is a thriving family-owned business still run by its founding families. Their grass-fed beef is recognized for its exceptional taste, quality and health benefits by chefs, health experts, professional athletes, and many others. In addition, U.S. Wellness Meats has joined with like-minded small family farms across the country to expand its offerings to include grass-fed beef bones for making your own broth, beef tallow and ready made beef broth from recipe taken directly from Sally Fallon’s Nourishing Traditions cookbook. SALE ITEMS are listed on their weekly newsletter. You can subscribe by clicking US Wellness Meats. Blackwing – Blackwing is one of North America’s leading providers of Healthy Red Meats and Healthy Poultry Meats to consumers, retailers and food service industries. Since being established in 1997, Blackwing’s vision has been to offer healthy organic and all-natural meats to health conscious American consumers. North American farm raised Elk are raised and grazed on lush unsprayed pastures. Once a diet of our native Americans , now part of our healthy lean diet. High in protein and never administered growth hormones or antibiotics. Always processed under USDA supervision and always humanely raised and handled under strict Blackwing regulations. As the premier supplier of Ostrich meat and other healthy red meats in the United States, Blackwing is dedicated to providing consistently high quality, anti-biotic and hormone free meats at affordable prices. Offers: beef bones for making your own stock. (Judys comments – shipping charges in CA, NV, & AZ are considerably higher, Blackwing in best used with large orders in these locations). Green Pasture – Our business focus is to provide high-quality sacred-food oils just as they were made prior to the industrialized food and farming revolution. High-Vitamin Butter Oil is our foundation product that all our work has blossomed through. Dr. Weston Price discovered High-Vitamin Butter Oil back in the 1930’s but the pinnacle of his discovery was when he combined Cod Liver Oil with High-Vitamin Butter Oil. Fermented Cod Liver Oil and others can also be found on Amazon.com here . Earth Circle Organics – Earth Circle Organics is a wholesale grass roots importer, distributor and manufacturer that has been serving the raw community for over seven years. Our mission is simply to supply the highest quality, truly raw and organic superfoods from around the world. We purchase from farmers and suppliers who operate with integrity and respect for their land and their finished products. Discover our special inventory of organic foods. Offers products such as Chlorella, Spirulina, Cacao, Coconut, Nuts, Berries, Hemp, Sea Vegetables, Seasoning and Sweeteners. Earth Circle Organics – Earth Circle Organics is a wholesale grass roots importer, distributor and manufacturer that has been serving the raw community for over seven years. Our mission is simply to supply the highest quality, truly raw and organic superfoods from around the world. We purchase from farmers and suppliers who operate with integrity and respect for their land and their finished products. Discover our special inventory of organic foods. Products: Coconut Sugar, Honey and Agave. Also offers – Cacao, Coconut, Nuts, Berries, Hemp, Sea Vegetables, and Seasoning. Wilderness Family Naturals – For over 20 years Ken and Annette have purposed to live clean healthy lives, believing that a diet with nutrient dense foods is key. We are here to serve you from the wilderness of northern Minnesota. As a family run business, we strive to supply all our customers with quality healthy foods that you can trust. Offer a variety of products: agave, sugar, chocolate & cacao, coconut products, oils, dressing & condiments, herbs & spices, kosher products, nuts & seeds (& nut butters), raw producs, rice & grains, etc. Agave – available thru Amazon: Xagave, Madhava & Wholesome Sweeteners and at Green Polka Dot Box. Sucanat – available thru Amazon: Wholesome Sweeteners. Wholesome Sweeteners and other brands of Sucanat can be found at Green Polka Dot Box. Coconut Palm Sugar – available thru Amazon: Wholesome Sweeteners & Wilderness Family Naturals. Wholesome Sweeteners and other brands of Coconut Palm can be found at Green Polka Dot Box. Pantry Paratus – We are a small family owned and operated company who calls beautiful northwest Montana our home. Paratus is latin for “ready” or “prepared”. It is our desire to see everyone think seriously about what the family is eating, where it comes from, and how they can preserve their surplus and prepare that pantry for the lean times. We endeavor to equip and to teach pantry preparedness–healthy, wholesome food to nourish the family from the inside out, today and in the future. Amongst many other home essentials, Pantry Paratus also offers Berkey Water Purification Systems. Go direct to Amazon.com – or go to my Living Healthy ‘n’ Happy Amazon store by clicking here to see the many books I suggest. ecomom is about bridging the gap between making healthy choices and making easy choices. You wonder what the best products for your family really are. Well we already know. Stick with us, and you can become an expert too. We make it easy. It’s doable because we are here to show you what to buy to have a healthy and happy child, making sure your kids aren’t using anything harmful to them. We literally keep the fun and flavor in, and leave out the bad stuff. At ecomom , we believe that making smart choices and easy choices are one and the same. It’s nice to know there is one site to come to for truly safe and healthy products, tips, tools and support. Offers a huge selection of safe infant, child, maternity and household items. GreenCupboards is a leading online retailer of eco-friendly products for homes and businesses. Based in Spokane, Washington, the company was the winner of a regional university business plan competition and was subsequently co-founded in 2008 by Gonzaga University graduates and their Adjunct Professor. Greencupboards targets consumers who strive to do the right things to sustain the planet, yet are challenged to find a broad selection of eco-friendly products that work and cost about the same as a their non-green counterparts. We endeavor to provide an easy, fun and educational shopping experience, over-the-top customer service and competitive prices. To date, we have satisfied the purchasing needs of over 100,000 consumers. Offers a wide range of “baby & kid” items from organic socks, wraps and mommy items to strollers and high chairs. Norwex I have been using their products for since 2010 and thought they were amazing, so shortly thereafter I became an independent consultant for their products. Offer: cleaning products for the kitchen, bathroom, etc., such as mops, cloths and there is no need to use scented or disinfectant sprays to clean…. just the antibac cloths. My favorite products are the Antibac Microfiber Cloths and Cleaning Paste. Also have bath towels, washcloths, kitchen tea towels, etc. Green Polka Dot Box Enter the Green PolkaDot Box. Don’t have an organic food store or farmer’s market in your city? Not a problem. Can’t afford the high price of natural, non-GMO foods? We’ve got you covered. The Green PolkaDot Box sells natural and organic, non-GMO foods at wholesale prices, and delivers them directly to your doorstep. We carry hundreds of your favorite brands, and even ship fresh produce harvested directly from organic farms. House hold Traditions (from Tropical Traditions) – We are committed to time-honored traditional practices that have produced healthy coconut oil for hundreds, if not thousands of years. In addition to Coconut Oil, Tropical Traditions offers many other Oils, Coconut Products, Organic Foods and Meats, Skincare and Haircare products, non-toxic Household Supplies , Supplements, etc. – always keeping health in mind. They also offer Healthy Buyers Club which offers discounts for products bought in bulk, where beef and chicken bones can also be purchased. drugstore.com – the uncommon drugstore. drugstore.com provides a very diverse line of products ranging from Kitchen Appliances, Food, Pet Products, Natural and Conventional remedies/medicine, Supplements, Vitamins, Personal Care, Beauty Products, Baby & Mom items, a Flexible Spending Account section and a Green & Natural Department from brands such as Seventh Generation, Burt’s Bees, Boiron, Method, etc. at competitive prices! (Judy’s comments – drugstore.com is a HUGE, DIVERSE store of items. What I love about this store is that, though I’m very selective on my brands and ingredients, I can do shopping for toilet paper, Traditional Medicinal and Tazo Teas, homeopathic meds, and even Aura Cacia essential oils. I even bought my Omega Juicer J8006 from here. And, I’ve always had enough in my order for free shipping (and it saves me a trip to the store)! Alice – Let’s face it; you can probably think of a thousand things you’d rather do than drive to the store again and again for toilet paper, toothpaste, trash bags and the dozens of other home essentials that keep your home running. We can too. That’s why we started Alice. Alice provides you a better way to manage all of your household essentials online.. And all this convenience comes direct to your door with free shipping on orders of $49.00 or more. Gaiam – Organic clothing, ecological lifestyle products and more. From yoga and fitness DVDs to home accessories and décor. Gaiam has eco-friendly, organic products and healthy living solutions to help you live your best life. Seeds of Change – Seeds of Change was founded in 1989 by passionate gardeners with a vision to make organically grown seeds available to gardeners and farmers, while preserving countless heirloom seed varieties in danger of being lost to the “advances” of modern industrial agriculture. For over 20 years, we have remained true to our original vision by offering the largest selection of organic seeds in the industry, including heirloom, traditional, and rare seeds. Our seeds are produced through a network of certified organic family farms and professional growers. Pantry Paratus – We are a small family owned and operated company who calls beautiful northwest Montana our home. Paratus is latin for “ready” or “prepared”. It is our desire to see everyone think seriously about what the family is eating, where it comes from, and how they can preserve their surplus and prepare that pantry for the lean times. We endeavor to equip and to teach pantry preparedness–healthy, wholesome food to nourish the family from the inside out, today and in the future. Amongst many other home essentials, Pantry Paratus also offers Heirloom Seeds. Tropical Traditions – We are committed to time-honored traditional practices that have produced healthy coconut oil for hundreds, if not thousands of years. In addition to Coconut Oil, Tropical Traditions offers many other Oils, Coconut Products, Organic Foods and Meats, Skincare and Haircare products, non-toxic Household Goods, Supplements, etc. – always keeping health in mind. They also offer Healthy Buyers Club which offers discounts for products bought in bulk, where beef and chicken bones can also be purchased. Alice -Let’s face it; you can probably think of a thousand things you’d rather do than drive to the store again and again for toilet paper, toothpaste, trash bags and the dozens of other home essentials that keep your home running. We can too. That’s why we started Alice. Alice provides you a better way to manage all of your household essentials online. And all this convenience comes direct to your door. OraWellness – We believe that toxic or even questionable ingredients have no place in oral care products…We here at OraWellness believe that optimal health is a whole being experience. Awesome oral health is a part of an awesome functioning immune system. To have great health is our natural state. Oral health is possible when the whole system is functioning in optimal health. In addition to providing oral healthcare products, we interviewed leading experts from around the world asking them how each of us can create positive changes in our oral health. We asked them for solutions everyone could apply and SOLUTIONS is what we got: HealThy Mouth World Summit. Amazon – check out my Amazon store by clicking here. I looked at many juicers and like the Omega (which I bought), Champion and Green Star masticating juicers. And my Vitamix… I use it almost everyday for foods and also for other things like making lotion. Rice Cookers – I looked for non-teflon rice cookers and found these stainless steel and clay versions. Pantry Paratus – We are a small family owned and operated company who calls beautiful northwest Montana our home. Paratus is latin for “ready” or “prepared”. It is our desire to see everyone think seriously about what the family is eating, where it comes from, and how they can preserve their surplus and prepare that pantry for the lean times. We endeavor to equip and to teach pantry preparedness–healthy, wholesome food to nourish the family from the inside out, today and in the future. Amongst many other home essentials, Pantry Paratus also offers Dehydrators, Food Preservation Supplies, Slicers, Vacuum Sealers, Grain Mills and Grinders..
Cultures for Health – …where people making a food change in their own lives could find all the products and information they need to be successful. We strive to source and produce products locally when possible while providing excellent product selection, top-notch articles and how-to videos, and the best customer service. Provide: cheesemaking kits, sprouting supplies, fermentation crocks, yogurt makers, grain mills, dehydrators, etc. GreenCupboards is a leading online retailer of eco-friendly products for homes and businesses. Based in Spokane, Washington, the company was the winner of a regional university business plan competition and was subsequently co-founded in 2008 by Gonzaga University graduates and their Adjunct Professor. Greencupboards targets consumers who strive to do the right things to sustain the planet, yet are challenged to find a broad selection of eco-friendly products that work and cost about the same as a their non-green counterparts. We endeavor to provide an easy, fun and educational shopping experience, over-the-top customer service and competitive prices. To date, we have satisfied the purchasing needs of over 100,000 consumers. Offers Grain Mill Grinders, Juicers, Dehydrators, and many other appliances for the kitchen and home. Fiesta dinnerware – There are many benefits to using Fiesta® Dinnerware. First we have to mention the broad range of colors that mix and match so well to provide you with a beautiful table for years to come. Most proudly we must mention as always our Fiesta® Dinnerware products are made right here in the USA by local potters as they have for almost 75 years. Features and benefits of Fiesta® Dinnerware and accessories: •Fully vitrified ceramics – industrial strength – Will not absorb odors or moisture •Lead Free •Microwave & Dishwasher Safe •Oven proof •Chip resistance – w/a 5 yr chip replacement warranty. Most importantly Fiesta is the strongest most resistant dinnerware in the market today, for everyday and special occasion use. Denby dinnerware – Feel at ease when using Denby as we have provided a safe product for you and your family. No intentionally added lead is used in the manufacture of any Denby ceramic item sold in the USA. No intentionally added cadmium* is used in the manufacture of any Denby Ceramic item sold in the USA (*statement applicable to food contact surfaces only). Our tableware is made for real food, not just for show. They also offer lead-free glasses. Le Creuset cookware– providers of lead-free cookware: cast iron enameled pans,: stainless steel, stoneware, silicone, enamel on steel, textiles and forged hard-anodized aluminum and now premium glassware, cast iron wok, an Indian karahi dish, a Japanese sukiyaki pan, an Italian risotto pot and a Moroccan tagine. LeCrueset can be found also be found at major department stores, and Le Creuset has stores throughout the U.S.